Watch atheist documentaries streaming online. We have collected a list of stunning, controversial, interesting, eye-opening, full-length documentaries about atheism, Islam, Christianity, the meaning of life,evolution, God and other relevant topics. If you have any suggestions for great documentaries to be added to this list, let us know here. Stephen Hawking is one of the world's most famous physicists, widely known for his revolutionary ideas in the fields of cosmology and quantum mechanics. 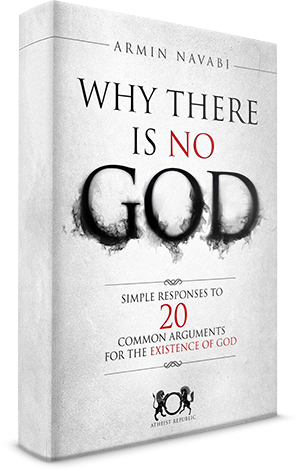 Through a multitude of interviews and philosophical discussions, Dawkins conveys the irrationality of religious faith, conveying the dichotomy between religion and science. In this documentary Dawkins examines religious dogma as a sort of ideological virus. He argues that, by indoctrinating naive or ignorant people, religious memes evolve and multiply in a way that is similar to a biological infection. Directed by Heidi Ewing and Rachel Grady, "Jesus Camp" is an American documentary film that attempts to objectively portray the methods and belief systems utilized by an evangelical Christian summer camp in North Dakota, dubbed the Kids on Fire School of Ministry. Written and presented by Richard Dawkins, “The Genius of Charles Darwin” is a three-part documentary that focuses on the theory of evolution and its various ramifications within human society. This documentary film is based around an examination of Islam, namely the religion's trend of committing violent acts against non-Muslims. In an effort to remain objective, Dawkins explores a number of religious ideologies in their attempt to assign meaning to human existence. Written and presented by British broadcaster Louis Theroux, "The Most Hated Family in America" is a scathing investigation into the infamous Westboro Baptist Church. In this documentary Dawkins tackles the concept of taboo behavior, examining the scientific foundation beneath seemingly metaphysical concepts such as sin, morality and "wrong" behavior. This documentary tackles the concept of human afterlife. Dawkins combines various religious concepts of the afterlife with scientific fields such as genetics, neuroscience and evolution to objectively examine humanity's innate desire for life after death. From religion to scientific inquiry, Dawkins ultimately concludes that the meaning of life is created on a personal and subjective level, thus rejecting the idea that there is an objective meaning to being human, as most religions argue. Atheism is a subject less talked about and discussed in society - one of the chief reasons why the concept is highly misunderstood by the majority of population. Since most people are comfortable with what they already know and thus choose to be ignorant about what they do not, atheists frequently find themselves victimized in and ostracized by society. They are often perceived as blasphemous individuals and due to no fault of their own, they have to face different forms of prejudice from time to time. That is why there seems to be a continual need for the masses to be educated about atheism. And, when it boils down to educating the masses, what can possibly serve as a better medium than documentaries? Documentaries are non-fictional films that delve into real stories, primarily for the purpose of instruction or with the aim of maintaining a historical record. They are important for more reasons than one. Documentaries not only educate viewers but they can also be used to change society to a certain extent. Since atheism happens to be one of those less-discussed ideas, documentaries related to atheism can help spread awareness about the same. Atheist documentaries do not always solely focus on the rejection of belief in the existence of deities. They also revolve around spreading the true message propagated by all religions – that of humanitarianism. In fact, several atheist documentaries have also attempted to examine how different people in different parts of the world exploit religion and act inhumanely in the garb of being religious. Therefore, if you wish to learn more about atheism, perhaps our list of atheist documentaries will serve as a great resource.